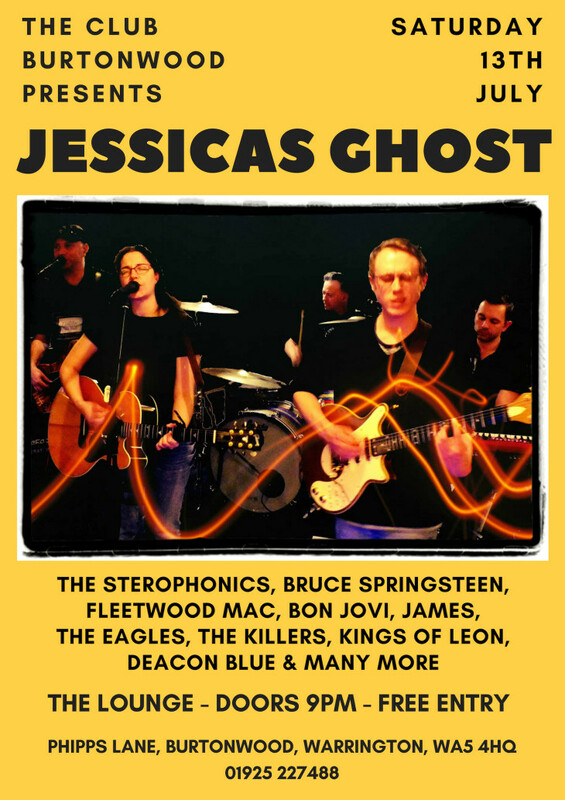 Live In The Lounge: Jessicas Ghost - Saturday 13th July!!! We're thrilled to welcome back the fantastic Jessicas Ghost to The Lounge on Saturday 13th July! Playing hits from the likes of The Sterophonics, Bruce Springsteen, Fleetwood Mac, Bon Jovi, James and many more. Make sure you bring your dancing shoes for more brilliant live music!! !